Now completely refurbished, America’s Presidents reopened to the public on September 22, 2017. With new works and signage, an entirely new LED lighting system, and the reintroduction of Gilbert Stuart’s “Lansdowne” portrait of George Washington, which went through 18 months of conservation and analysis, visitors can once again explore and reflect on this unique and powerful collection. 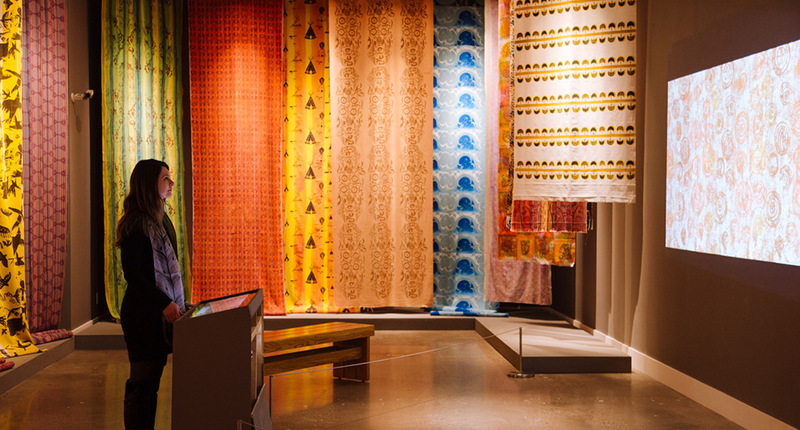 Ideum was thrilled by the opportunity to work with the talented team at Smithsonian to help bring digital interactives into the gallery space for the first time. Ideum designed custom software that allows visitors to explore portraits of each president in greater detail than ever before. Working closely with Portrait Gallery curators and educational staff, Ideum helped organize and present collection items and related materials based on both the presidents’ lives and the artists who captured them on canvas. The digital collection includes items found in the gallery, but also hundreds of other pieces not presently on public display. All materials are presented in both English and Spanish. A 3D timeline is the main method of navigation, allowing visitors to move through the decades from the nation’s founding to the present. Three innovative interactives placed in different areas of the gallery open to specific highly influential presidents. 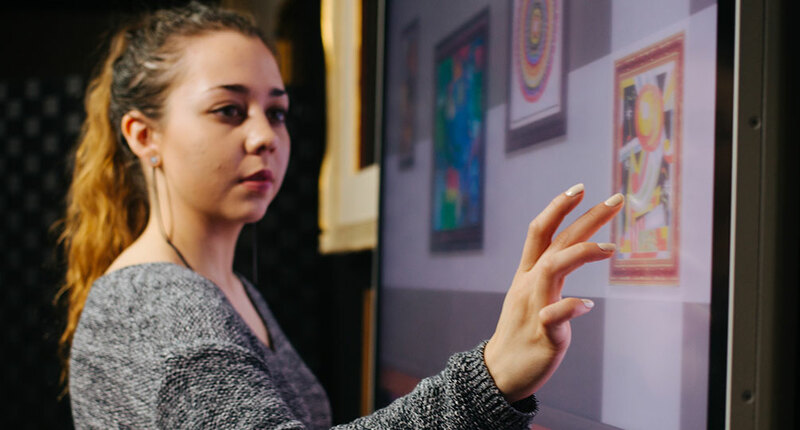 Visitors can also zoom into paintings to view fine details, rotate and enlarge scanned sculptures and other 3D scanned objects, and investigate special collections and related items. The three custom “brass” interactive stations are located throughout the gallery. Our Industrial Design group collaborated with the Smithsonian exhibit team to create the form and finish of these one-of-a-kind interactive kiosks. We worked together to design and integrate the technology into the gallery in a seamless and understated way: it extends the visitor experience but does not compete with the portraits themselves. The kiosks have unique wide-screen ultra high-resolution displays with multitouch capabilities. Ideum worked with the Smithsonian to specify the fiber extenders to take the USB and UHD video signals across nearly the entire length of the Portrait Gallery building. Remoting the computers in the installation allows Smithsonian staff to more easily maintain these interactive exhibits. 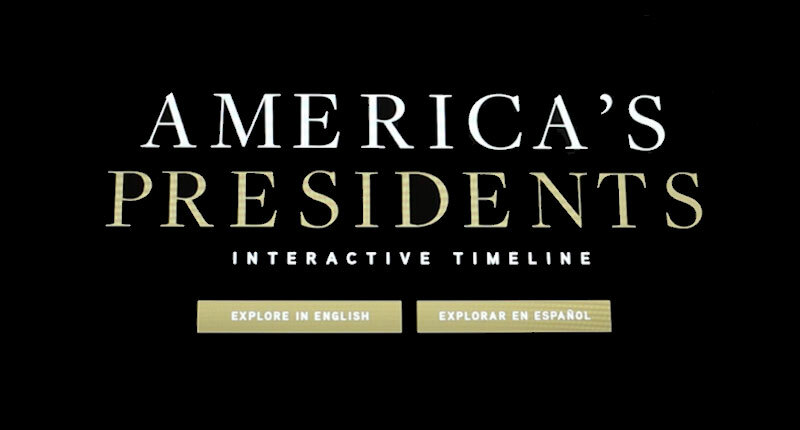 The video below shows some of the renewal process for the America’s Presidents exhibition. Ideum was honored to be a partner in updating this national treasure for new generations.